Diabetes is one of the oldest known diseases: an ancient Egyptian medical text, the Ebers Papyrus, written in 1500 BC, mentions diabetes symptoms and suggest treatments. However, it was not until just over a century ago that a British surgeon named Pryce made the statement that “diabetes itself plays an active part in the cause of a perforating ulcer.” It is not within the scope of this book to go deeply into the nature of diabetes but it is worth just explaining the link between diabetes and the diabetic foot ulcer. Put simply, diabetes is a condition in which the body cannot use foods properly. In this condition, glucose (the simplest form of sugar in our blood that gives us energy) simply rises in concentration until it has reached unacceptable levels. Normal levels of glucose in the blood, before eating, are in the range 4.0 – 7.0 mmol per 1 litre of blood. Anything higher than this is classified as hyperglycemia. When the glucose or sugar reaches 12.0 mmol per 1 litre of blood, the body tries to eliminate the excess sugar or glucose by drawing water from the body tissues, which causes the person to need to visit the bathroom more frequently. The key reason for the body not being able to get the sugar out of the blood is due to a chemical called insulin, which is produced by the body in an organ called the pancreas. Insulin helps the sugar move out of the blood into the body cells in the leg, arm, head and so on, thereby providing the energy a person needs in order to run, walk, think and carry out the activities of everyday living. In the case of some people who have diabetes, injections of insulin can be instrumental in controlling the condition. For others, insulin is not needed; instead, a careful diet, exercise and oral medications will control the situation. 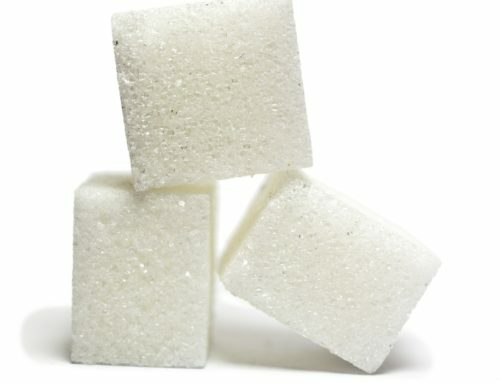 The flow of sugar (S) from the blood vessels is a continuous process along all the sides of the walls. In the diagram you can see a pipe representing a blood vessel #1 with blood, fluids and sugar (glucose) and the chemical insulin. Insulin acts as a kind of key to open the door, allowing the sugar to flow out to the cells of the body. In #2 you can see there is little or no insulin; the sugar builds up because there are very few keys, or none at all, to open the doors. The common denominator among people with diabetes is high blood sugar. The good news is that you can use a monitor on a daily basis to check the level of your blood sugar and thereby control your sugar levels through treatment, diet, exercise or medication. Diabetes is a disease which causes your blood to have too much sugar (glucose) which can cause many problems. 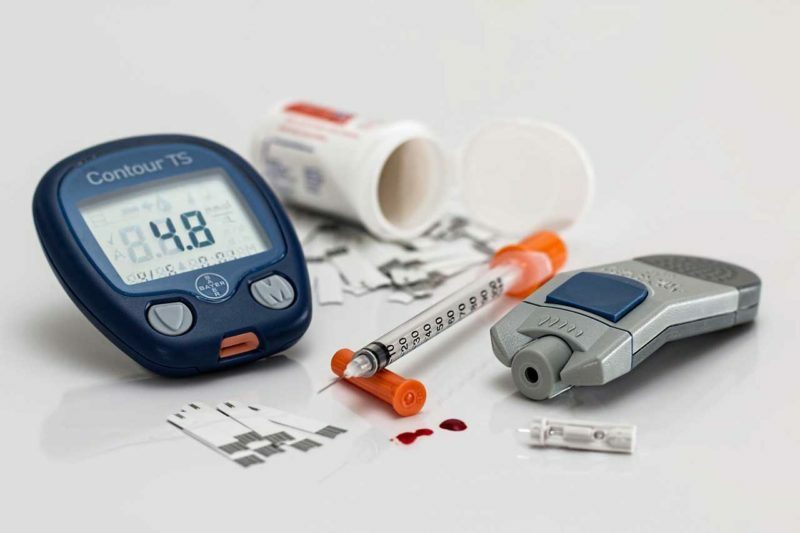 WHAT YOU CAN DO: You can check your blood levels on a daily basis and get your doctor to provide a diet, exercise and medication treatment plan to control your high blood sugar; alternatively, some people will need insulin injections. Known medically as peripheral neuropathy (PN for short). This is a breakdown or disorder of your nerves near the surface of your feet. (“Peripheral” means near the surface and “neuropathy” means disorder of the nerves.) The exact incidence of PN is difficult to assess. However it is estimated that 10% to 20% of people with diabetes have PN; as the years pass, this figure can increase to over 50%. Known medically as peripheral arterial disease (PAD for short), this simply means problems with your blood circulation system near the surface of your feet. Another word your medical team may use for this problem is ischemia, which means poor blood supply. Keeping in mind that “peripheral” means near the surface while arterial relates to the arteries, you can see that PAD is a disease near the surface, related to the arteries. Sometimes your medical team may say peripheral vascular disease, and in this case “vascular” means all blood vessels (including veins) instead of just arterial. There can be many causes of blood circulation problems; certainly diabetes can cause blood vessels to age and harden faster than normal. However, poor circulation can also be caused by arteriosclerosis, where the arteries become rigid and hard. Also, veins can become blocked or narrowed so fluid and waste materials spill out into the surrounding foot. These two factors are the primary reasons for foot ulcers associated with diabetes. One of these problems may dominate but the cause of a foot ulcer is always a combination of both nerve damage and blood circulatory problems. By understanding how these two conditions – PN and PAD – contribute to foot ulcers, you will have a greater understanding of your treatment and be more receptive to what you need to do to help yourself. The bottom line of both these conditions (PN and PAD) is that they can make the foot insensitive. This means that normal sensations like pain, heat, cold, trauma, irritations or even just a light touch are sometimes difficult to feel. This insensitivity can lead to damage to the foot which in turn can create the development of a foot ulcer. caused, take off the shoe and remove the stone. However an insensitive (sometimes called insensate) foot may not feel the pain and serious damage may be done to the skin over time because the stone remains and continues to irritate the skin. Imagine that during the night while you are sleeping, your heel is pressing against a wooden part of your bed. If no nerve impulses are sent to your brain, you may remain in that position for a considerable length of time. This can cut off the blood supply to that skin area and an ulcer may start to develop. It has been shown that a mere five to seven pounds of pressure on a bony prominence can cause damage and destruction to the surface blood vessels in just seven hours. The diagram shows where you can develop foot ulcers most easily. Diabetes can cause nerve damage and contribute to blood circulation problems in the feet, making them insensitive, vulnerable to damage with a predisposition to slow healing. WHAT YOU CAN DO: Control your blood sugar as directed by your doctor, appreciate your own vital role in helping yourself and make the effort to protect your feet as outlined in this book.